Artificial intelligence has created quite a buzz and we have excellent examples of it in Apple Siri, Microsoft Cortana, Amazon Alexa, among others. But what about a digital assistant in the enterprise? SAP answers this big question by releasing the SAP CoPilot, the first true digital assistant in the enterprise. The 1705 version of the SAP CoPilot 1705 is aware of your business context, helps you efficiently collaborate on business matters and quickly create business objects via embedded QuickCreate UIs. Users have the provision to take screenshots of the current screen which can then be edited or saved and used in Chat windows to start a discussion.. Here, the user can choose an existing product from the F4 (value) help and go-ahead with creating the Alternative Unit of Measure. 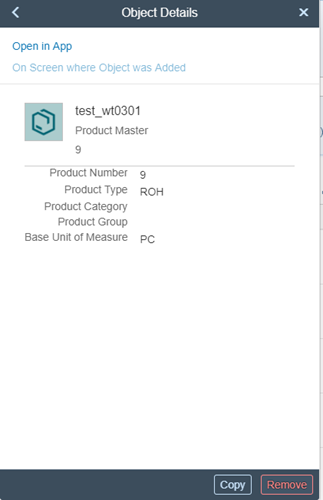 Once an existing or active product record is selected, then Copilot automatically pics up the Base Unit from the database. If the user is already using the Product object page and wants to wants to create an Alternative Unit of Measure then, the system picks up the first active and shows this is the in the Quick Create (Create Alternate UoM for Product). Once this step is in process, the user is also given an option to change the product from the value help. The app shows the first 30 products with the specified criteria and the users can use this to select products for adding to the collection. SAP CoPilot’s Quick View option enables the user to view the basic details of a specific product. The user also has a provision to use the Open in App feature wherein, users can view the object page to get more details about the product. 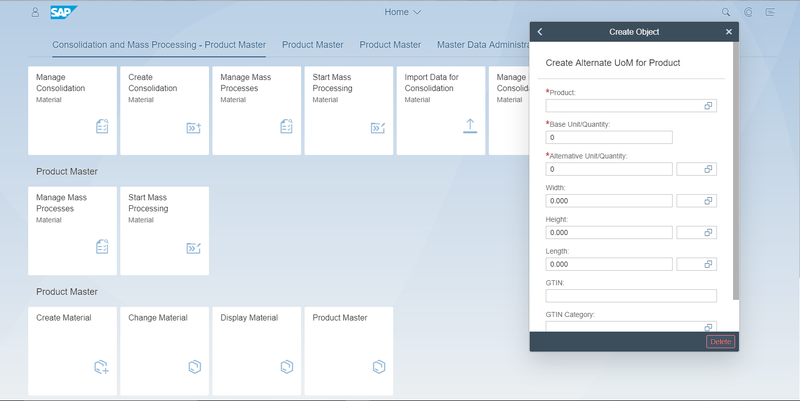 As of the 1709, SAP CoPilot will be integrated in Product Master for on premise editions as well.